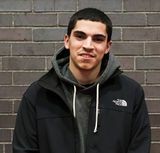 Slox is an American Melee smasher who started playing competitively in Connecticut around 2009, known for his proficiency with multiple characters such as Fox, Sheik, Captain Falcon, and Marth. He is currently ranked 2nd on the New England Melee Power Rankings, 6th on the NYC Metropolitan Area Melee Power Rankings, and 50th on the 2018 MPGR. This page was last edited on January 28, 2019, at 16:07.